Located in one of the most well-known buildings in all of Brickell, this is truly a phenomenal penthouse with the most amazing views. 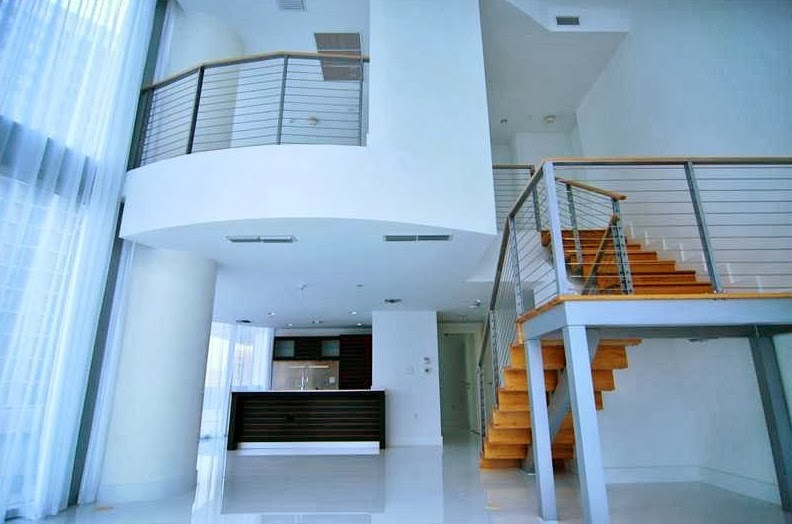 With beautiful white marble floors throughout the entire residence, floor to ceiling impact resistant windows with large balconies and tons of space, there is nothing like living in this contemporary three-bedroom, three-bath penthouse. The kitchen/dining/living is open and spacious. In the kitchen, it is sleek and large with stainless steel appliances, tons of counter space and custom cabinetry. The master bedroom features a private balcony that showcases the most gorgeous Bay views. There are tons of upgrades including mounted wooden panels. Homeowners also have use of all of the hotel and residence amenities including the fitness center, pools, restaurants, and more. Icon Brickell is truly life on vacation all the time. Here is a spectacular corner residence in the notable Icon Brickell. With three bedrooms and two baths, this home has everything expected in a residence in this building. There is a European kitchen with contemporary custom-cabinets and appliances along with a huge balcony facing Biscayne Bay and marble and hardwood floors. The bedrooms are large and have spacious closets. Unlike other units in the building the corner units have huge living areas with two walls of windows. Residents have access to all of the hotel amenities including the fitness center, pools, theatre, spa and gourmet restaurants. There is nothing better than living at Icon Brickell. Another unit at Icon Brickell, this three-bedroom, two and a half bath unit on the 16th floor offers the most amazing water views from every room in the residence. To start, the living and dining area open to the ultra-modern kitchen with Blue St. Tropez limestone counter tops, stainless steel appliances, and contemporary custom cabinetry. The living and dining areas showcase water views from the floor to ceiling windows and balcony that runs the entire length of the unit. In the mast bedroom, there are his and hers walk-in closets, a large spa-like bath, and a balcony with more water views. The other bedrooms are also large with hardwood floors. This is a fantastic unit and the ultimate in Brickell living. Located on a lower floor, this is a large townhouse residence with two bedrooms and three baths. With over 1,600 square feet of living space, this home is open and very spacious with the living and dining areas opening up to a large balcony/terrace with showcasing beautiful views while the kitchen is large and modern with all the bells and whistles expected in a home of this caliber. A special feature with this two-story residence is a large guest room with a private bath and balcony on the main level. Upstairs is a fantastic master suite with a private balcony, walk-in closet and large master bath. A private den is also upstairs and is perfect as a home office or a “man-cave.” Along with everything that this home has to offer, residents enjoy the use of all the community amenities of the 5-star hotel including concierge, security, a state of the art fitness center, exotic outdoor pool and more. This is luxury resort living at its finest. 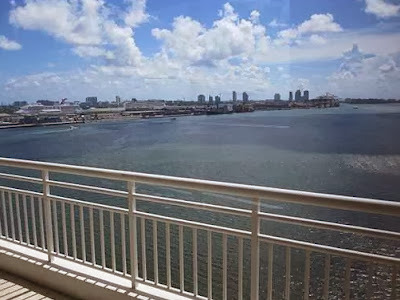 Situated on Brickell Key, this two-bedroom, and two and a half bath unit offers unobstructed views from every room. The split floor plan features marble floors throughout the residence with hardwood floors in the bedrooms. There is a large terrace that can be accessed from the living area, breakfast nook and master bedroom and showcases unbelievable water views. The master bedroom is huge and has a large walk-in closet along with another closet and a spacious master bath. There is a dining area as well as a breakfast nook and a wonderful kitchen with modern updates like granite counter tops. Additionally, there is a fantastic walk-in laundry room just off the kitchen. In addition to the residence amenities, home owners make the most of a state-of-the-art fitness center, tennis courts, and a huge Bay front pool with a fabulous barbecue area. Two Tequesta Point is like a five-star resort for its residents. Even though it is close to Brickell, once residents cross the bridge to Brickell Key, it is unlikely that they want to head back unless it is necessary. With the excitement of this metropolitan atmosphere and the tropical climate and landscaping, there is nothing like living in Brickell. It is the hub of the financial market in the southern portion of the US and keeps growing and growing. The demand for Brickell real estate is growing by leaps and bounds. A friend of mine lived in Brickell while he attended the University of Miami's law school. It really is an incredible area in a one of kind city. I haven't been down that way in a while either, are you covering anything more on the new projects in the works there?